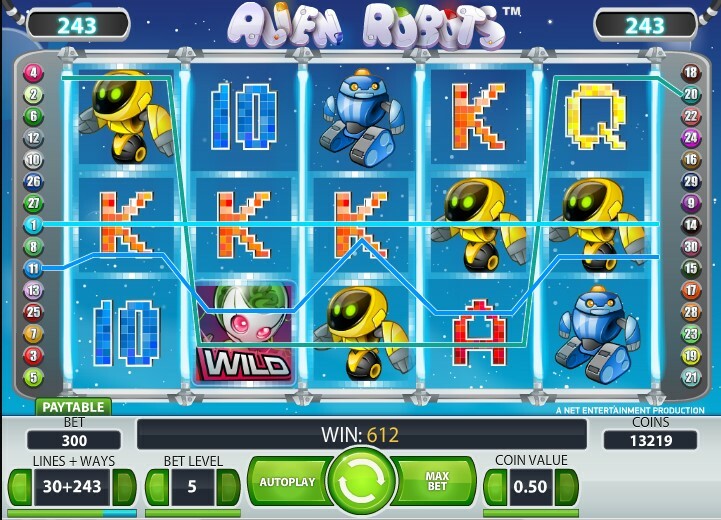 Alien Robots is an amazing little slot machine that packs a powerful punch on five reels and three rows. There are 30 lines plus 243 ways to pay, so that's a unique trait compared to so many slots. 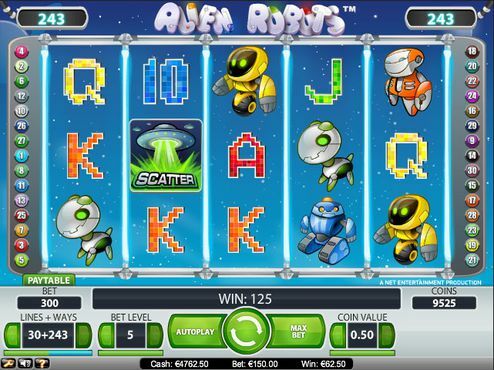 The Alien Robots slots have a bonus feature that can grant as many as 50 free spins on 5 scatter, and there is a wide range of bets that starts with one penny and ends with 150 pounds. 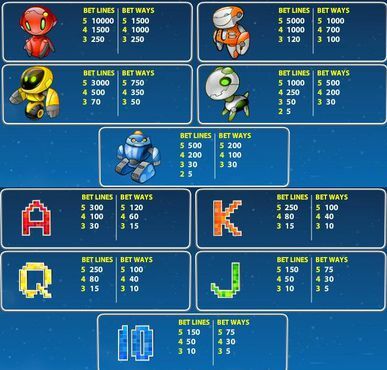 The top symbol payout is 10,000 for five red robots. What We Say - If the thought of cute robots and sweet aliens is enough to rock your spaceship, this slot might be an interesting choice. For the rest of us, it doesn't perhaps offer enough to retain interest. 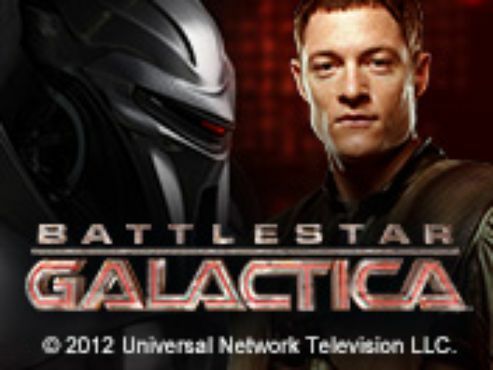 The graphics are undoubtedly endearing, with various types of robot (including a K9 canine) dominating the reels. The aliens receive far less of a look in, although they do form many of the more important symbols. In particular, a trio of Spaceships are required to kick off the free spins round. Here, you can get up to 50 free spins at a time, and the spins can be retriggered. More to the point, Expanding Sticky Wilds offer plenty of opportunities for some nice rewards. 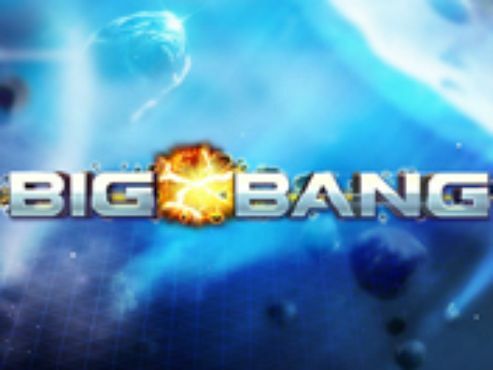 Perhaps the game's most interesting innovation is the varied bet size. 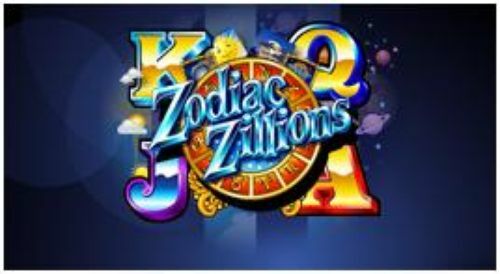 You can specify up to 30 lines - so far, so Slot - but on top of that, you can pay double the money and get 243 different Ways To Win. This obviously makes for far more winning combos, and gives you a great way of adding extra action to the game. For all the Ways To Win, though, Alien Robots doesn't feel quite as exciting or innovative as it should. Sound is intermittent, and the game lacks general star power. It's perhaps a nice one for younger members of the family, but the rest of us will prefer something a touch meatier. How to Win - Robot Wild is Wild, and substitutes for most other symbols. 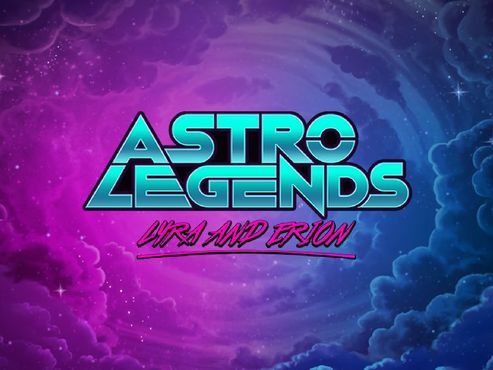 Three Alien Spaceship Scatters activate Free Spins Bonus Round - offering 10, 20 (four Spaceships) or 50 (five Spaceships) free spins, along with Expanding Sticky Wilds that remain in place for further spins. Free Spins can be retriggered.